Ruggedized for field use in a variety of industries, these automated test systems use NI Compact-RIO and custom hardware to operate in the harshest conditions. We know that field-testing and troubleshooting requires that test systems be rugged and portable. Equipment that could normally be used inside a laboratory might not meet the environmental or size requirements for field testing. Our expertise with rugged platforms like CompactRIO and experience with the harsh environments of aerospace and energy applications allows us to take existing applications or ideas and make solutions that are rugged enough to fully accomplish what customers need. Custom Systems: Automated test and measurement systems for use in a wide variety of industries and applications. Rugged Design: Based on NI Compact-RIO and custom hardware to operate in the harshest conditions. Compact and Portable: Perfect for field testing and other applications where size and weight matter. 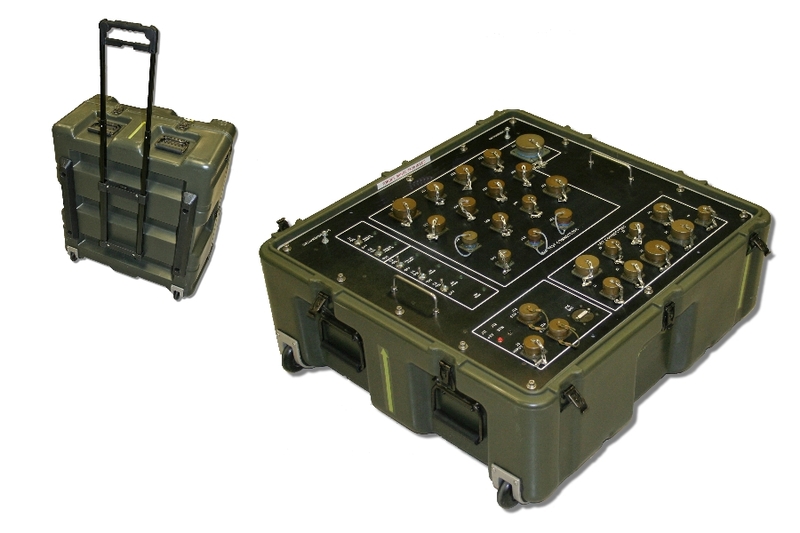 G Systems designs rugged, portable field-testing systems. With our expertise we make what you need. Download the whitepaper, Built to Last: Designing Rugged Test Systems for the Harshest Environments, to learn more about how G Systems can design and ensure the longevity of your rugged system.